Thank you for your choosing to make a recurring monthly donation to the American Eagle Foundation. The bald eagle is making a gradual comeback to America’s lands and skies, but much work still needs to be done to preserve its nesting and foraging habitat, and to maintain and enforce strict protection laws. 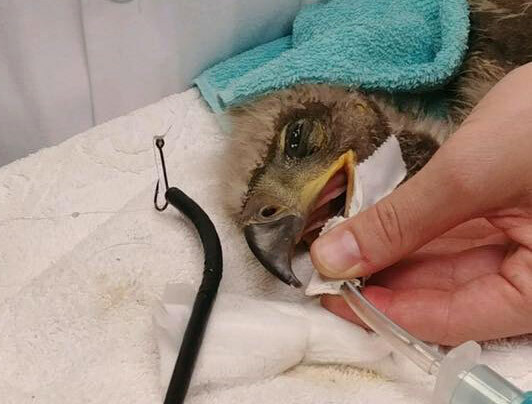 Your donation will fund eagle care and recovery programs conducted and/or supported by our organization, including eagle/raptor care and public environmental education programs. Note: You may manage, pause, or cancel your donation subscription at any time from within your user account. *OPTIONAL* Add this information if you would like your contribution to be made in honor of or in memory of someone. AEF will mail an acknowledgement card to the recipient of your dedication.